How come I can’t livestream programs? How do I activate Passport? How do I sign in to Passport? I no longer want to sign in with Facebook, how do I disconnect my Passport account? I no longer want to sign in with Google. How do I disassociate my Passport account from Google? I’m trying to watch a video, but it keeps stopping and starting? How can I get the program to stream smoothly? How do I change the email address I use to log into Passport? I’ve updated my log in information, but I keep getting re-directed to my PBS profile page. How can I get out of this loop? How do I update my credit card for THIRTEEN Passport? How do I cancel my THIRTEEN Passport benefit? Why am I required to share my history in order to access Passport? Why am I not able to access videos outside of the US? How can I watch Passport videos on my smart TV? I’m trying to watch online through Safari, but the videos don’t play. What’s going on? I’m trying to watch online through Safari, but when I try to sign in, it says I’m already signed in even though my name isn’t in the upper right hand corner. What’s going on? How do I pair my Roku device with THIRTEEN Passport? How do I pair my AppleTV device with Passport? How do I pair my Fire TV device with Passport? How can I watch Passport videos on my Apple TV? 1. 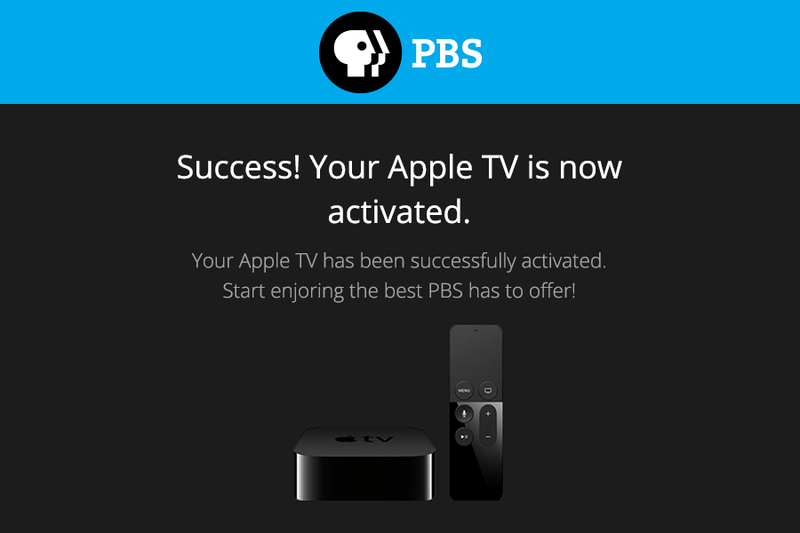 Open the PBS channel on your Apple TV. 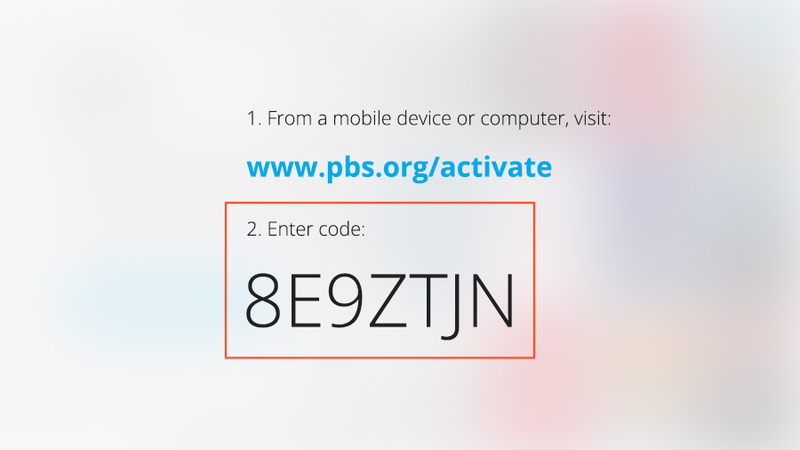 You will be brought to a screen asking you to activate. 2. Activation instructions are displayed on the screen along with a 7-character activation code. 3. Go to your computer and open a browser such as Chrome, Firefox, or Safari. 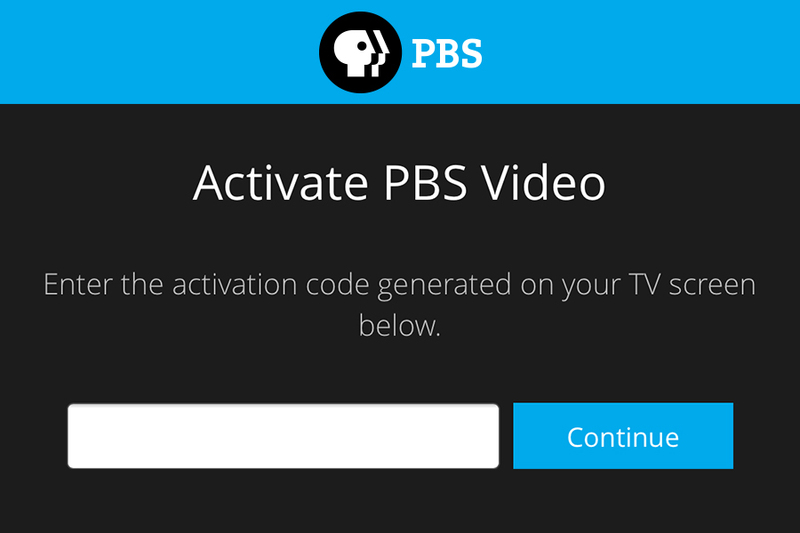 In the address bar, type http://pbs.org/activate. Enter the seven-character activation code in the textbox provided. This is NOT your Passport activation code. Click Continue. 4. 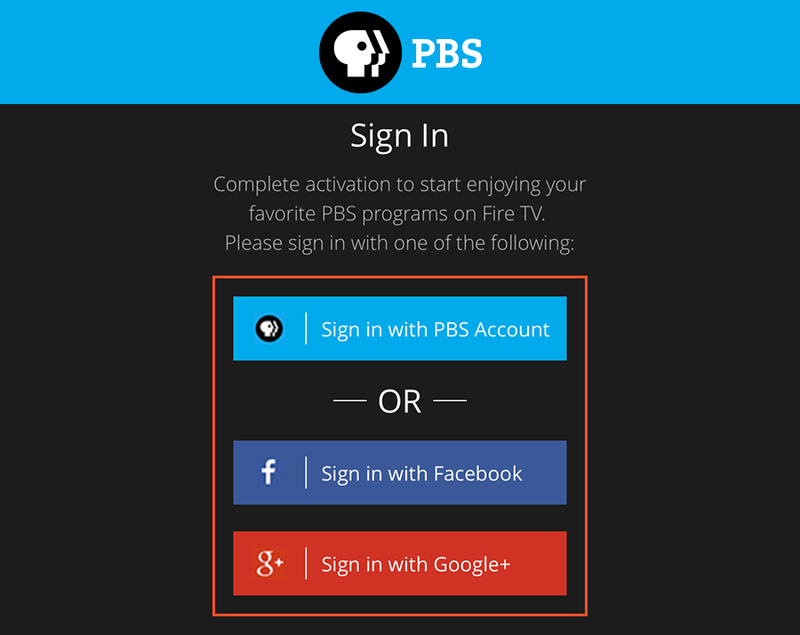 You are taken to a new page asking you to sign in with a Google, Facebook, or PBS account. Choose the same account you used when you activated Passport. If you sign in with a different email address, you will not be signed in with your Passport account and will be unable to watch Passport videos. 5. You may be prompted to confirm that viewing history may be shared. 6. 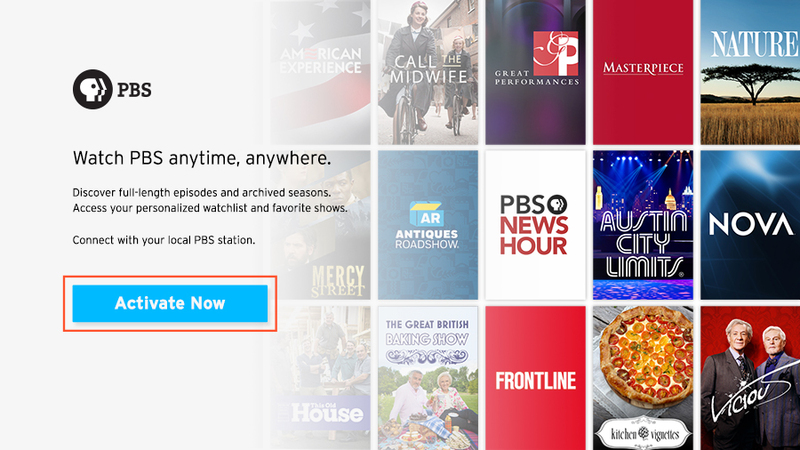 Return to your Apple TV. It has been automatically updated and you can begin watching Passport videos.